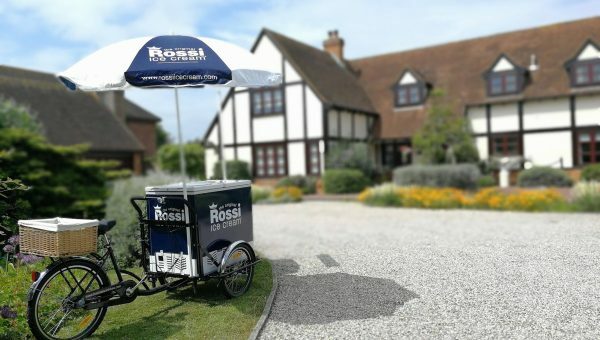 The Rossi Vintage Vintage Style Ice Cream Trike is great for both indoor or outdoor occasions, either a business promotion, wedding or private function. 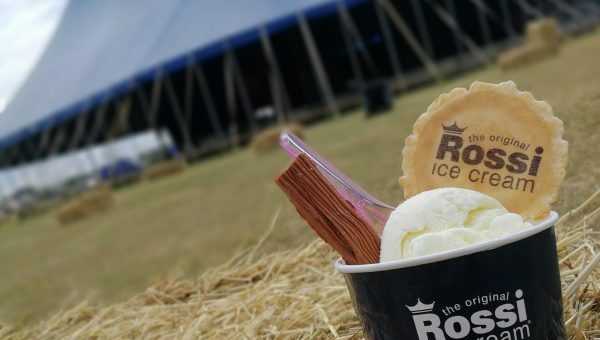 Freshly made Artisan Vanilla ice cream (the true original Rossi) a traditional ice cream served on premium waffle cones or in tubs, with a Cadbury flake or with pre-selected range of flavours for your number of selected guests (see prices below). Service with a little bit of Theatre! 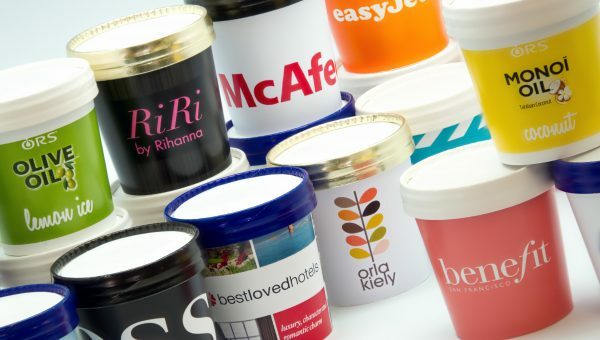 Unique Personalised Tubs for corporate events, weddings or family occasions. This service incurs an additional charge and available from 200 tubs. The trike will be attended by a suitably uniformed member of our Rossi events team to serve. Based on 100 guests, 1.5hrs service and 15 mile radius of Southend on Sea. Contact us for quotes on other areas, additional numbers and services required. 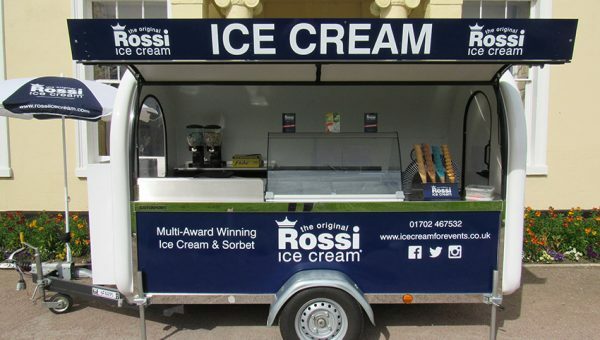 Our Rossi Pod is a great option for larger outside events with the capability to serve a wide range of our award-winning flavours in cones or tubs and a variety of cold drinks. 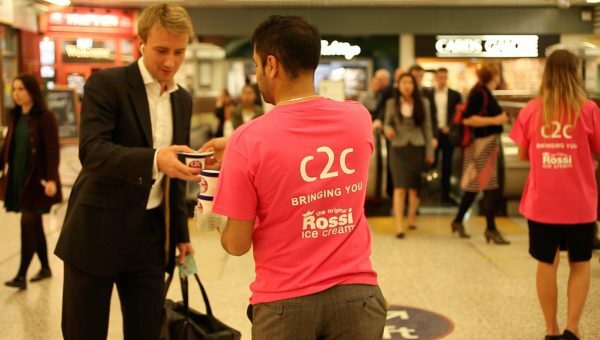 The Pod will be attended by a suitably uniformed member of our Rossi events team to serve. This can also be branded for corporate events or promotions. 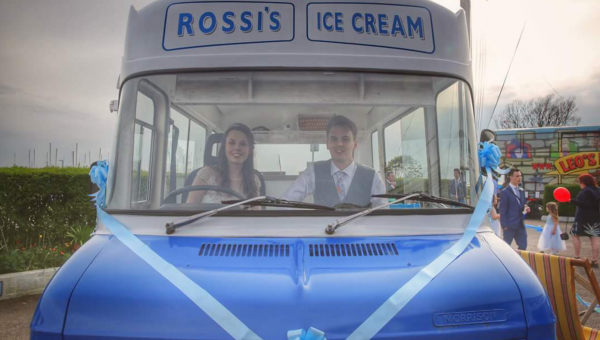 We can provide a Rossi Ice Cream Van FREE OF CHARGE to most events. School fetes, sports day, fundraising days or even if you’d like a van to drive by your private event (i.e. Birthday parties, BBQ’s etc.) This service is available within a 25 mile radius of Southend in Essex. 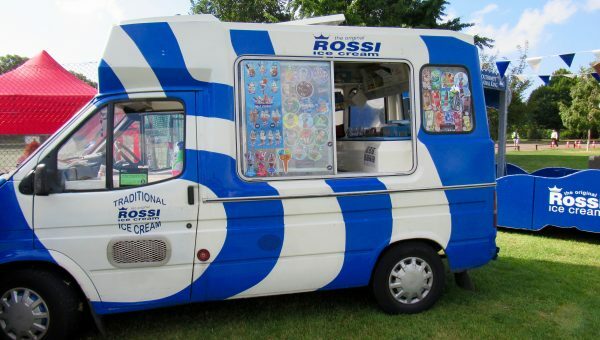 We also have available a pristine fleet of modern and vintage ice cream vans in matching livery, for festivals and large events throughout the UK. Having attended almost every festival/event in the country from T in the park in Scotland to Wake Stock in West Wales to Plymouth Air Show, as you will see from these locations, destination is not an object. We can cover from Glastonbury 200,000 people down to 200 people. 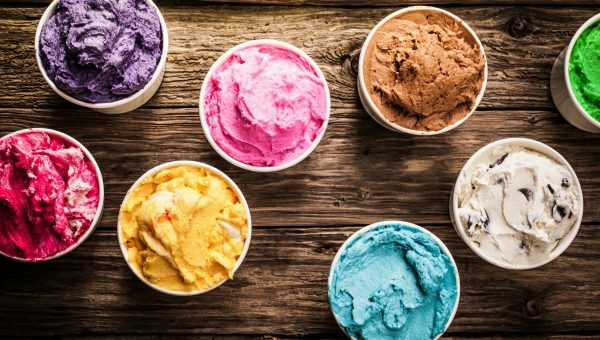 The vans and company have been awarded National Catering Association’s Ice Cream Caterer of the Year and the Ice Cream Alliance’s Ice Cream Mobiler of the Year in 2014. Suitable for both daytime and evenings, a great talking point on the day and a perfect treat for guests. We ensure the photographer captures the special moment as the newly married couple serve ice cream. A great shot for the wedding album! Do you have an upcoming event, product launch or celebration and looking for something different to really stand out? Available through leading distributors in the UK and Ireland. Our 125ml single serve tubs come with a convenient spoon in the lid. The perfect addition to Business Events, staff treats at work, birthday parties, BBQ’s, weddings, festivals and large events. We can supply and serve on the day, or just supply. You have the option to collect from our factory or have them delivered straight to your location. 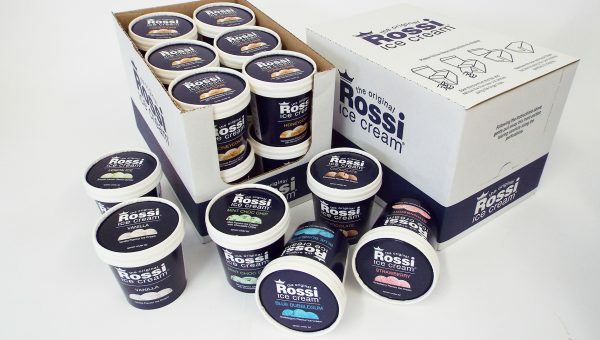 To give your event that extra wow factor, Rossi have the capability to create and produce bespoke ice cream flavours and colours. We have been known to produce a bespoke Lavender ice cream for a London Hotel and a deliciously refreshing Gin & Tonic sorbet for a Casino chain. We also worked alongside Insure & Go to create a selection of flavours as part of their ‘Around the World in 80 Scoops’ campaign with flavours ranging from Red Wine (Argentina), Squid Ink Ripple (Japan), Tobacco (Cuba) and Fish with Lemon Grass Syrup (Vietnam). Our premium ice cream is the perfect choice for your occasion. With our wealth of experience over the years with corporate hospitality, Rossi understands every event is unique. 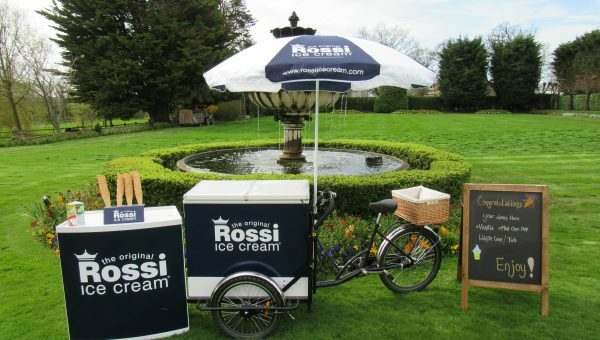 That’s why our events team are able to advise on the best option with either our retro trike, Rossi Pod or even create one-of-a-kind pop up parlour with flavours for your event. We pride ourselves on delivering bespoke services always to an extremely high standard – ensuring that we meet every requirement.